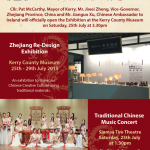 Kerry County Museum is delighted to host an exhibition showcasing Chinese Creative Culture using traditional materials as part of the Zhejiang Cultural Festival 2015. The exhibition will be officially opened by Cllr. 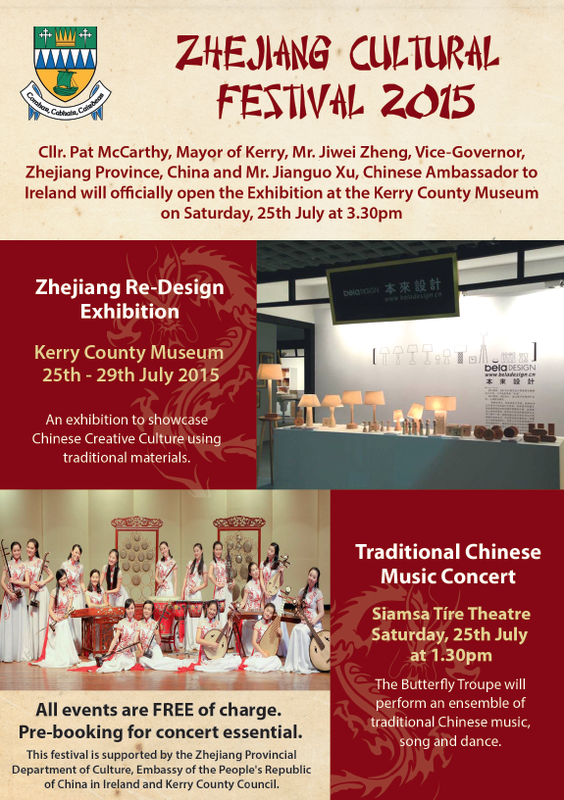 Pat McCarthy, Mayor of Kerry, Mr. Jiwei Zheng, Vice-Governor of Zhejiang Province, China and Mr. Jianguo Xu, Chinese Ambassador to Ireland on Saturday 25th July at 3.30pm. 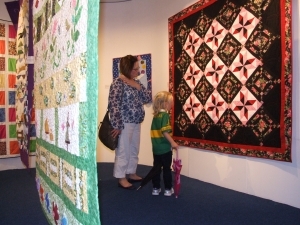 The exhibition will run from 25th – 29th July and admission is free of charge. All welcome. Other events include a traditional Chinese Museum Concert in Siamsa Tire Folk Theatre on Saturday 25th July at 1.30pm. All events are free of charge but it is essential to pre-book the concert at Siamsa Tire. 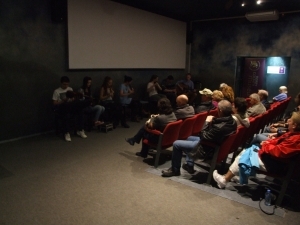 The festival is supported by the Zhejiang Provincial Department of Culture, the Embassy of the People’s Republic of China in Ireland and Kerry County Council. 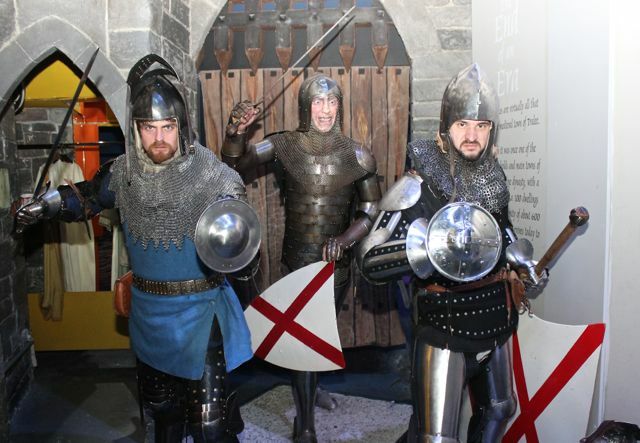 Two men dressed in full medieval armour paid a surprise visit to the Museum on Tuesday 24th March. Brendan Halpin and Jack Pinson are members of Medieval Armoured Combat Ireland, which promotes full contact sport in medieval armour. They are part of a team of five representing Ireland in the World Championships to be held in Malbork, in Poland between the 29th April and 2nd May this year. On Monday 23rd March they set out from Waterville with the intention of hitchhiking their way along the west coast of Ireland to Galway, dressed as two fully-armoured medieval knights to raise awareness of their participation in the World Championships. 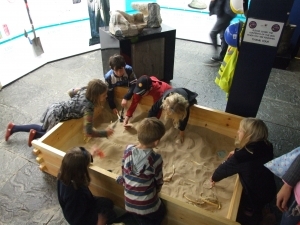 They arrived unexpectedly and surprised some of the school groups on the Museum’s Easter trail – the kids were of course madly enthusiastic when they saw them and bombarded with them with questions. Brendan and Jack spent the morning with the groups, answering questions and demonstrating their skills in medieval combat. Good luck to the two boys in the World Championships and be sure to stop if you see them on the road in the next few days – you can’t miss them! The Fram goes green as it hosts Tom Crean! “The Fram”, the original Norwegian polar exploration ship, which was used by the Norwegian explorer Roald Amundsen and his team to become the first explorers to reach the South Pole, will turn green in Oslo on St Patrick’s Day as part of Tourism Ireland’s Global Greening. This sees a host of major landmarks and iconic sites around the world illuminated in green for St Patrick’s Day. Like Norway, Ireland is one of only a small number of countries around the globe which can boast of having had a member of the polar expeditions during the heroic age of polar exploration. To highlight this link, the Irish Embassy in Oslo is hosting its St Patrick’s Day reception on the deck of the ship. Aidan Dooley has been invited to perform excerpts of his acclaimed play Tom Crean: Antarctic Explorer at the reception. Amundsen is a very revered figure in Norway and the Embassy is hopeful that the highlighting of the link between his efforts and those of Crean will help to reinforce the strong links between Norway and Ireland. Kerry County Museum will participate in this forum which has been organised by the Heritage Council, under the auspices of the Museum Standards Programme for Ireland, with the support of the National Gallery of Ireland. The forum is an opportunity to discuss the facilitation of loans between Irish National Cultural Institutions and the Irish museum sector. It originates from a suggestion from the National Gallery of Ireland that it might be useful to organise a day where the sector could come together to discuss this topic. 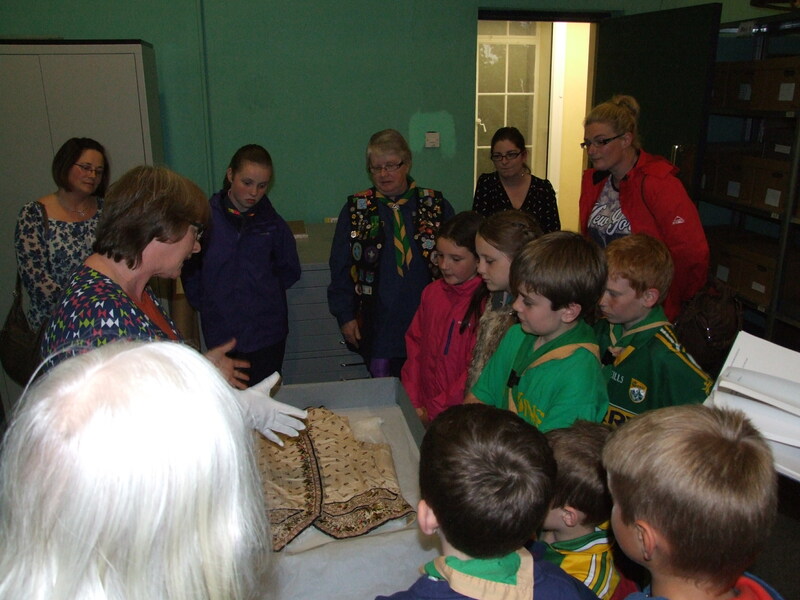 Elaine Sansom, MSPI Assessor and museum consultant, will speak on how participation in the Museum Standards Programme has improved collections management standards in Ireland. She will also present findings on two reports commissioned by the UK’s Museums Association on the attitudes and barriers to lending in the UK. 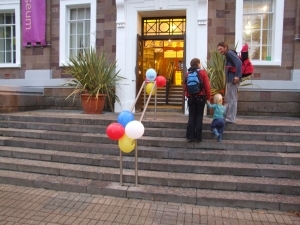 It is also anticipated that a representative from the Dept of Arts, Heritage and the Gaeltacht will speak about its Collections Mobility Grants Scheme. The rest of the programme will include a series of short presentations from the museum sector and National Cultural Institutions culminating in a lengthy roundtable discussion chaired by Pat Cooke, Director of the MA in Cultural Policy and Arts Management, UCD. The aim of the day is to increase understanding and agree points towards improving the mobility of collections in Ireland. The IMA organises a themed Annual Conference in spring each year, offering an opportunity for members of the Irish museums community to meet, network and discuss issues of relevance for the Irish museum sector. The Annual Conference will examine how museums respond to, and negotiate, policy directions. It will focus in particular on museums’ role in relation to social inclusion, education, economic regeneration, and tourism agendas. 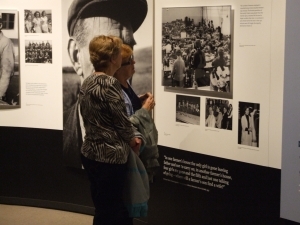 Invited speakers and conference participants will share their experiences and expertise on the interdependent relationship between government bodies and museums: the ‘mirror and lamp’ effect whereby public policies both reflect and guide the functions and missions of the museum and vice versa. The conference will examine how museums can better position themselves to reflect changes within society and in government policies, while at the same time performing their historical roles of custodianship, presentation and scholarship. How should museums approach the difficult task of fulfilling these multiple, and sometimes competing, functions? 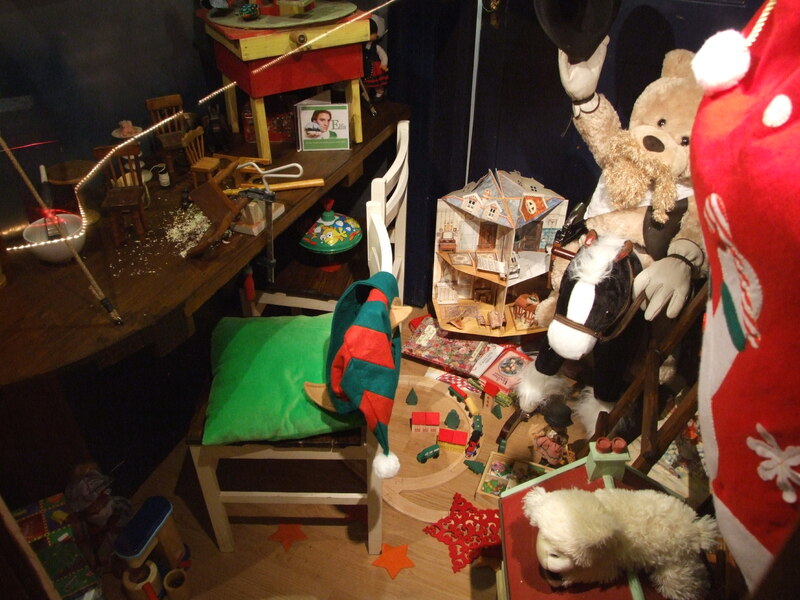 Kerry County Museum will close on Friday 19 December 2014 and will re-open to the public on Tuesday 6 January 2015. 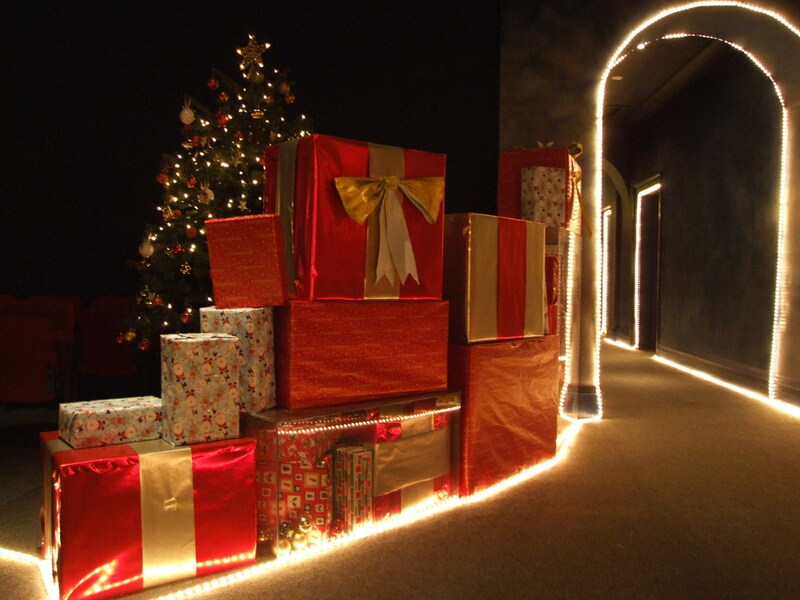 We wish all our visitors a Happy Christmas and hope to see you all in the New Year. 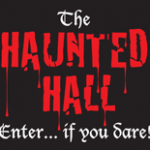 Calling all schoolchildren between ages 5 and 12. It’s that Jingle Bell time of year again! With Christmas fast approaching, there’s no better way to get in the festive spirit than with a visit to our magical Christmas Wonderland! Make some colourful decorations for your Christmas tree! 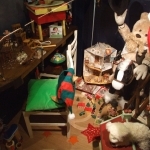 Find all the hidden puzzle pieces in the Museum Gallery and put them together to solve the puzzles! 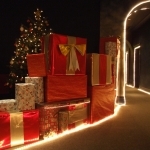 Make Christmas memories that will last a lifetime at Kerry County Museum. 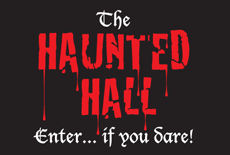 This offer is open to schools and must be booked in advance. Cost: Only €1 per pupil! – Teachers go free. If you’re feeling brave, take aim! 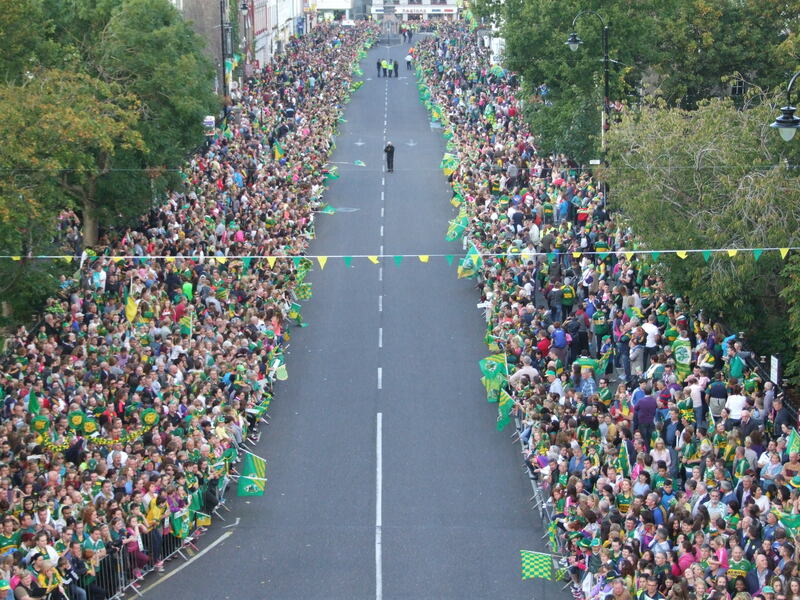 Over 20,000 supporters gathered in front of the museum on Denny Street on Monday night, 22nd September to welcome home the victorious Kerry minor and senior All-Ireland winning teams. Young and old alike assembled to catch a glimpse of their heroes and the coveted Sam Maguire and Tom Markham cups. It was the first time since 2009 that the senior team had won an All-Ireland title and over 20 years since the double had been achieved! 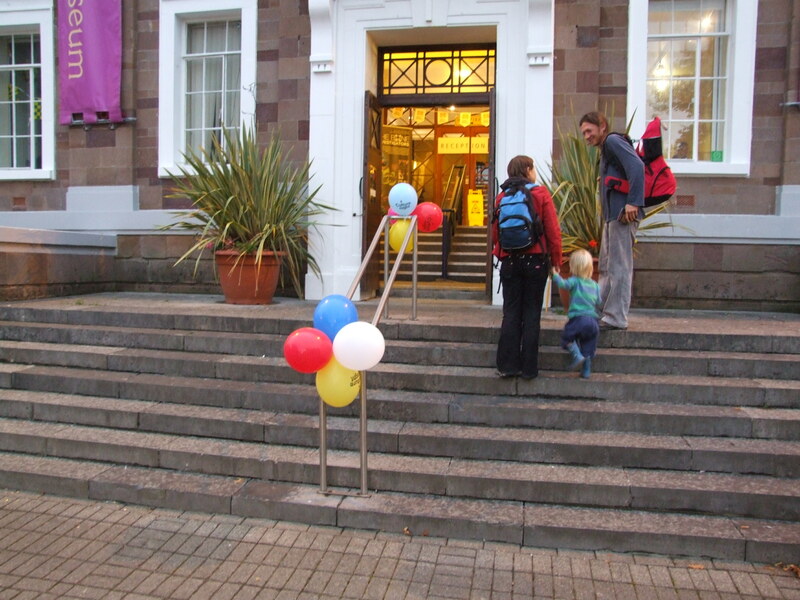 On Friday 19th September we had one of our most successful Culture Nights. With over 320 people streaming through our doors, young and old were treated to some wonderful traditional Irish music by the Sliabh Mish Comhaltas Group. 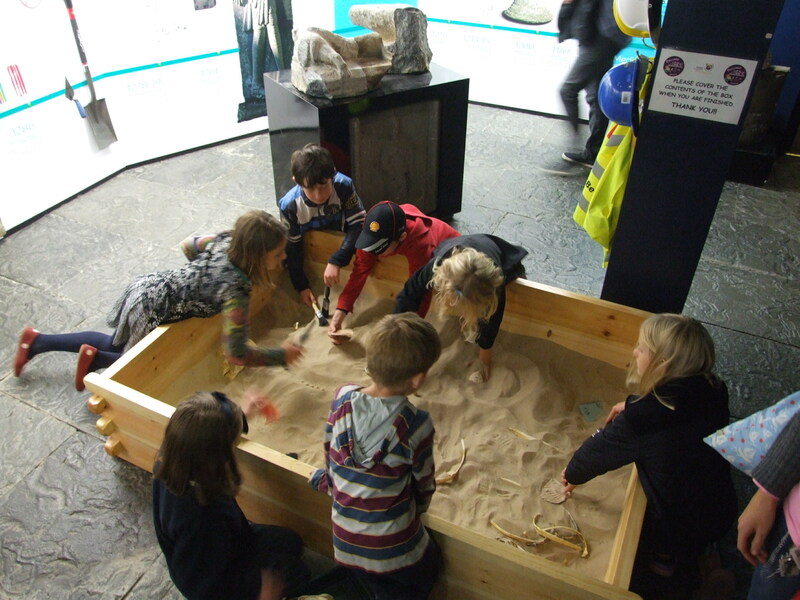 All our galleries were open on the night and the Bone Investigators proved as popular as ever with our young visitors. 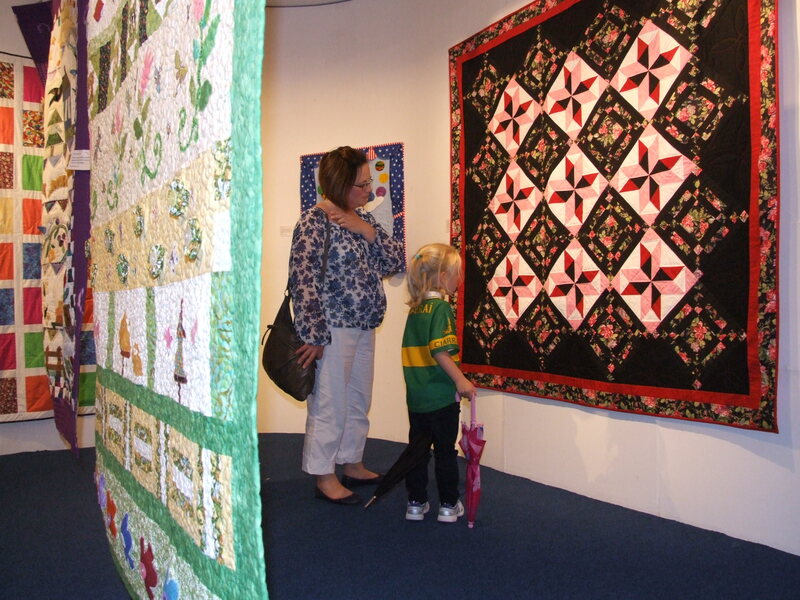 The talented ladies from Ciar Quilters were on hand to showcase some of their fine craft and Helen O’Carroll and Sarah O’Farrell gave a wonderful insight into the behind the scenes workings of our museum with fantastic guided tours. Here are just some of the photos from the night.